The Eijkman-Oxford Clinical Research Unit (EOCRU) opened in 2008 with the signing of a memorandum of understanding between the Eijkman Institute for Molecular Biology and the University of Oxford, expressing the will to conduct collaborative research on infectious diseases impacting the health of Indonesians and residents of other Southeast Asian nations. 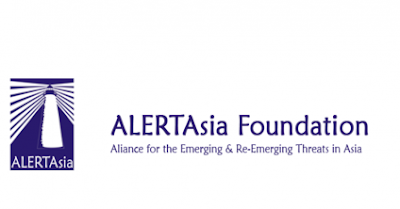 In conducting the work especially in Indonesia, EOCRU is assisted by Alliance for Emerging and Re-emerging Disease Threats in Asia Foundation (ALERTAsia), a local foundation assists in research grant management and capacity building for local researchers. EOCRU is part of the Oxford Tropical Network, under the auspices of the Oxford University Clinical Research Unit (OUCRU-Vietnam). Researchers are increasingly being encouraged to include public and community engagement as part of their research projects. The Public Engagement (PE) officer will play a key role in developing a new PE strategy for EOCRU. The post holder will work with the EOCRU staff and the Head of PE at Oxford University Clinical Research Unit (OUCRU) to identify, develop, execute, and evaluate targeted public or community engagement campaigns. This person will be an effective communicator, able to facilitate both community meetings and communication with researchers, policy makers and media. They will be able to take scientific information and process it into engaging content. They will also be able to work closely with EOCRU researchers to build their engagement capacity. They will be flexible - able to communicate with a wide range of stakeholders, to work in rural communities and amongst academic and professional partners, and able to be comfortable in different settings – rural communities or professional settings. They must be willing to travel and work out of hours to deliver on projects. The role is ideally suited to a dynamic, flexible, organized graduate or postgraduate with experience in communications and community facilitation, and a demonstrable interest in science, who is looking to build up a new engagement strategy in a science and health sector. Develop EOCRU’s public engagement program with staff and the Public Engagement Unit in the OUCRU, ensuring it is effective, measurable and involves our researchers, collaborators and study subjects. Identify opportunities to create new initiatives to engage the public and specific communities, partnering with other organizations and science bodies to increase our reach. Encourage and support the involvement of EOCRU members creating opportunities for their involvement and interaction with public, and building their capacity for engagement (training workshops, training resources). Responsible for all public engagement content circulated on EOCRU website. Ensure that proper evaluation of our reach and the success of engagement activities is regularly carried out. Be responsible for regular reporting of activities to EOCRU Director and line-manger and Head of PE OUCRU. Be responsible for end of project and annual reports (in English). Manage the local public engagement budget, with support from the senior research fellows and Head of PE OUCRU. Represent EOCRU at external meetings and events including Oxford Tropical Network, Oxford South East Asia Symposium and others, which may involve international travel and occasional weekend working. Strong interpersonal skills with ability to communicate with a range of stakeholders and initiate productive working relationships with potential partner organizations. Experience in evaluating and measuring the impact of such activities. Proven written English and communication skills is a MUST. Must be willing to travel and work some weekends if necessary. Experience of social science research would be advantageous. Experience of community-based research or activities highly desirable. Experience of working in biomedical science and public health is desirable but not essential. Experience digital skills with experience of working across multiple digital channels desirable.